Spring is a time of renewal, rebirth and growth. Trees are budding, flowers are blooming, plants and grasses are growing; which unfortunately means pollen is here…blowing everywhere! Spring is such a beautiful season which poses many challenges for people with pollen allergies. Sneezing, coughing, runny noses and post nasal drip are just a few of the pesky symptoms that many people deal with! Pollen Allergy (also known as Hay Fever and Seasonal Allergic Rhinitis) is not contagious. Pollen allergies last as long as the allergens are present as well as for a short time after pollen generation has stopped. 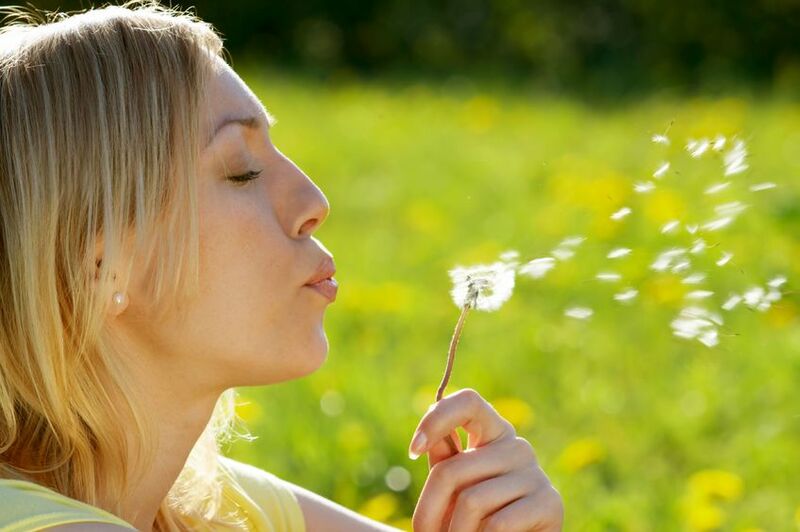 Usually this occurs in the Spring and Fall when trees, weeds, plants and grasses release pollens into the air and they are inhaled, causing a tide of uncomfortable signs and symptoms to those who are affected by them. How do you protect yourself and still enjoy this beautiful time of year? The best protection is to stay away from the triggers that cause your allergic symptoms and to maintain your home as allergen free as possible. If you cannot avoid problematic allergens all together, reducing them and other respiratory irritants will help. Use air conditioning with a HEPA filter instead of fans and clean the filters according to the owners’ manual. Keep house plants in areas that do not promote mold growth. Keep knick knacks and home clutter to a minimum where pollen dust can collect. Use a dehumidifier in damp basements. Put allergen proof covers on pillows and bedding. When pollen counts are high, limit the time you spend outdoors. Plan to perform outdoor activities when the pollen count is lowest each day. Avoid places where mold might grow (damp, moist locations). Wear sunglasses whenever outdoors to keep pollen out of your eyes. Wear a hat when outdoors to limit the amount of pollen blowing in your hair. Wash all clothing in hot water after being outdoors. Dry your clothing in a dryer and not on a clothesline. If you have outdoor pets, be aware that they carry pollen, limit your exposure. When in your vehicle, use air conditioning instead of opening the windows. Hydrate yourself to help your body flush out the pollens/irritants out of your body and keep your nasal passages/throat moist. Take your prescribed allergy medication and all other medications as directed by your physician. If you have severe allergies and are at risk for Anaphylaxis, wear medic alert jewelry, have an emergency action plan and keep your epi-pen with you at all times. Using some or all of these tips will help you to enjoy this beautiful time of year a bit more…prepare to Spring Forward! ← Women and Heart Attacks: Are You at Risk?